Studentpad and University of Oxford offer agents/landlords the quickest and most cost effective method of advertising their property(ies) for let in and around Oxford. Studentpad helps around 1 million students search for accommodation each year. Take the first step to finding your new tenants today. Adverts are charged at £20 for any 28-day period. Payment can only be made online through the University Shop. You can pay by any Mastercard, Visa credit card, Switch, Solo or Delta debit card using the link below. and make the payment, not forgetting to pay the one-off Registration Fee if you have not already done so. A link to pay for your properties will be available upon adding your advertisement. Please note: Once you have made the payment, there can then be a short delay before we receive confirmation of its receipt. 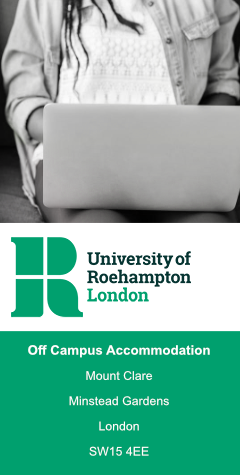 Once confirmation has been received of receipt of the payment Graduate Accommodation Office team aims to make adverts go live within 1-2 working days (Monday – Friday, 9am – 5pm). If your preferred advert start date precedes the date that we are able to publish it, we will add the appropriate number of days to the end of the advertisement period so that your advert is live for the number of days that you have paid for.